NC State’s Data Science Initiative will host a RED Talk with Dr. Steven Koonin — who will be giving a talk on “Urban Data” — on Wednesday, March 20 from 5-6 p.m. in SAS Hall Room 2203. The event is free and open to the public, with a coffee and cake reception to follow. The RLA will host its first University Research Symposium — Opportunities in Cross- and Multi-Disciplinary Research — on Thursday, March 21 from 1-5 p.m. at the James B. Hunt Library, Duke Energy Hall. See what amazing research faculty across the university are involved in. The symposium will offer a unique opportunity for faculty to network across disciplines and between colleges. NC State will host the fourth annual ACC InVenture Prize competition on April 16 and 17. Each Atlantic Coast Conference university will send a team of students to compete against other ACC schools. The student teams will pitch their inventions or businesses to a live audience and panel of judges, and will compete for $30,000 in prizes. During the first night of competition, judges will evaluate and select five teams to move to the final round based on the quality of their idea, the business model, entrepreneurship, and the likelihood of future success. The final round on April 17 will feature these five finalists and will be broadcast on television by PBS affiliates up and down the east coast. This final round, held in Stewart Theatre, is open to the public. Register for the final and post-show reception here: accinventureprize.com/ticket-request-form. Mark your calendar for NC State’s first-ever Day of Giving on March 27. For 24 hours, we’ll have special hourly challenges, college-on-college competitions and surprise guests — all in the name of supporting the Wolfpack. Your gift drives the future of NC State and the extraordinary Think and Do spirit that has allowed us to take our place among the nation’s top-performing universities. The Wolfpack is hundreds of thousands strong. #GivePack on March 27 and show the world what we can do when we come together. The College of Sciences will host its annual State of the Sciences event on Thursday, April 18 from 5:30-6:30 p.m. in the Mountains/Piedmont Ballroom in Talley Student Union. This year, the event returns to its original lecture format and features creativity experts Michele and Robert Root-Bernstein. The Root-Bernsteins are faculty members at Michigan State University and co-authors of Sparks of Genius: The 13 Thinking Tools of the World’s Most Creative People and numerous articles on imaginative thinking, polymathy and transdisciplinary education. They will speak on “The Value of Training as a Polymath for Stimulating Creative Insights Across Disciplines.” A reception will follow. The event is free and open to the public, but registration is required. NC State has awarded the Watauga Medal to alumni S. Frank Culberson, Charles A. Flink II and James A. Stewart. The Watauga Medal, given annually since 1975, is the university’s highest nonacademic honor and recognizes extraordinary service and commitment to the university. NC State’s Families with Autism and Special-Needs Support group would like to invite you to be a part of our upcoming support group meetings in 2019. Dates to be determined. This group is free and open to students, staff, and faculty. In these meetings, we share strategies/stories and provide support and resources to each other. We will continue to invite speakers from the greater Raleigh community and university to share valuable information about the services they can provide. In past meetings, we have had visitors from Wake County public school system, Autism Society, and Family Medical Leave officials from the University Benefits office on campus. If you have questions or ideas for future meetings, please feel free to contact Crissy Williams at cwbrown@ncsu.edu or call 919-513-1828. Please click here if you are interested in joining or learning more about our group and upcoming meetings. 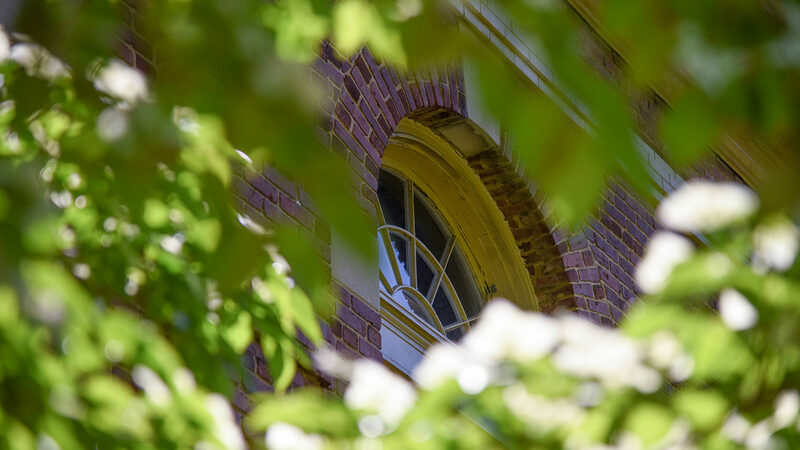 DELTA’s spring 2019 faculty cohort for the Online Course Improvement Program (OCIP) has been named: Christine Cranford, Peter Hessling, Muntazar Monsur, Melissa Ramirez and Julianne Treme. The new group of dedicated faculty who make up OCIP’s third cohort is on the mark to continually improve the design of their online course to meet the rigorous standards of the Quality Matters (QM) organization. Throughout the 16-week program, the spring 2019 OCIP cohort work collaboratively with each other and DELTA staff through online asynchronous training, face-to-face meetings, individual consultations and more to prepare their courses for an official QM review at the end of the program. The Spring 2019 DELTA Grants Showcase will take place on March 25 from 2-4 p.m. in the Hunt Library Teaching and Visualization Lab. The event highlights completed DELTA Grant projects through an interactive digital poster session. Attendees can explore innovative learning activities, talk with faculty and project teams about their collaborations, and discover the positive impacts of grant projects on student success. This drop-in event is free and open to the NC State community. DELTA’s Online Course Improvement Program (OCIP) will begin accepting applications for Fall 2019 cohort April 4. OCIP is a rigorous professional development program based on Quality Matters and requires a significant time commitment. The program will run from August–December 2019. Successful completion in OCIP culminates in an official Quality Matters Peer Review and certification of your online or blended course. NC State now has 12 certified Quality Matters courses that meet the highest standard for online course quality and design. Please read through the OCIP Information Sheet before submitting an application. If you are interested in participating in the program for the fall semester, complete the application for Online Course Improvement Program form by Friday, April 19. Email questions to Bethanne Tobey at bwtobey@ncsu.edu. Registration is now open for the Global Engagement Exposition on Tuesday, April 23 from 11 a.m.-1 p.m. in Talley Student Union. The event will include an awards ceremony for the Outstanding Global Engagement Award and Jackson Rigney International Service Award, a poster session and lunch. An university task force seeks the campus community’s input into engaging in partnerships throughout Asia. Faculty, staff and students are invited to share their thoughts and ideas on future activity in East Asia or Southeast Asia through a short survey. NC State will host the annual University Global Partnership Network (UGPN) conference on April 1-3 on Centennial Campus. The conference brings together university leadership, faculty and administrators from UGPN member institutions to promote academic exchange and new research collaboration through relationships among researchers. It is a venue to discuss past accomplishments as well as formulate strategic direction and programmatic initiatives for the UGPN. Delegations from the University of Surrey (United Kingdom), the University of Wollongong (Australia), and the University of São Paulo (Brazil) will be in attendance. The Office of Global Engagement encourages NC State faculty and staff to attend conference workshops to meet with these strategic partners and attend the panel sessions. Register today! Each year, every academic program offering a degree or certificate is evaluated by its faculty to improve the effectiveness of the program. We periodically highlight examples of what a selected program has done to become even stronger. In 2018, the Computer Science-Bachelor of Science degree program assessed “students will implement a computing-based solution to meet a given set of computing requirements.” To measure this outcome, the computer science faculty used a team project from CSC 326. The analysis showed students were highly skilled at providing weekly iteration deliverables, maintenance activities and demo videos, but lacked the same level of skill in implementing and testing with new technologies. As a result of their analysis, the program expanded this course (CSC 326) to four credit hours and incorporated more formal practice with new technology.